Summary: The Contact Lens Rule was created to help make the process of obtaining prescriptions and new contact lenses much smoother. When you go to an optometrist or ophthalmologist to get your eyes checked out, you are probably also visiting to get your prescription updated. Before the Contact Lens Rule was put in place by Congress in 2004, this seemingly simple process was not regulated. Getting a new pair of contact lenses was more difficult to do, costing patients and contact providers both time and money. To understand what exactly the Contact Lens Rule is, you need to first understand the two key requirements it outlines. The first part of the Contact Lens rule is designed to protect patients. The first requirement states that the organization you visit to get a new vision prescription, whether that be the office of an optometrist or an ophthalmologist, must give you an official, up-to-date copy of your prescription after your eyes have been tested. This might seem like a fairly straightforward and practical thing but this protects patients who might want to go elsewhere for their contact lenses. Similar to how you can go to a number of different stores to compare models, features, and prices of various eyeglasses after getting a new prescription, this requirement in the Contact Lens rule allows people who recently got a contact lens fitting to do the same. Some doctors have tried to deny patients their prescriptions when they have expressed that they might not purchase new contact lenses from them. 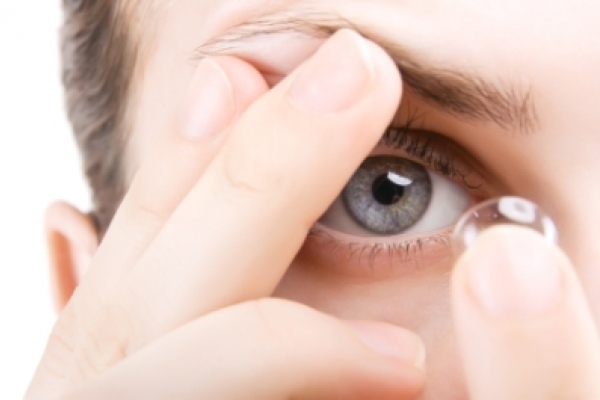 The second part of the Contact Lens rule helps regulate the purchase of new contact lenses. This requirement explains that any organization selling contact lenses must attempt to receive a valid prescription before serving a customer. This prescription can be obtained in one of two ways: either the customer demonstrates they have a valid copy of their prescription from the doctor or the contact lens vendor gets in touch with the doctor to verify the legitimacy of the prescription. This rule is important because it forces organizations that sell contact lenses to only provide what was officially prescribed. To make sense of this portion of the rule, think about any other prescription you can obtain from a doctor. When you see a doctor for a heart condition, for example, your doctor might prescribe a very specific set of medications, doses, and routines that you should follow to treat the condition. Failure to follow the doctor’s orders could ultimately make your situation even worse. When you get your eyes examined a professional is looking for a medical solution to correct your vision. Your vision prescription should be taken just as seriously as any other medical prescription. The Contact Lens Rule is important because it helps people make sure they are getting the vision care they need. Part of a healthy economy is having the freedom of choice. By being able to choose where you purchase your goods, you force providers to compete for your business. This ultimately forces companies to provide better goods and help out their customers. Without rules like this one, consumers could be left with no other option but to purchase from sub-par businesses.